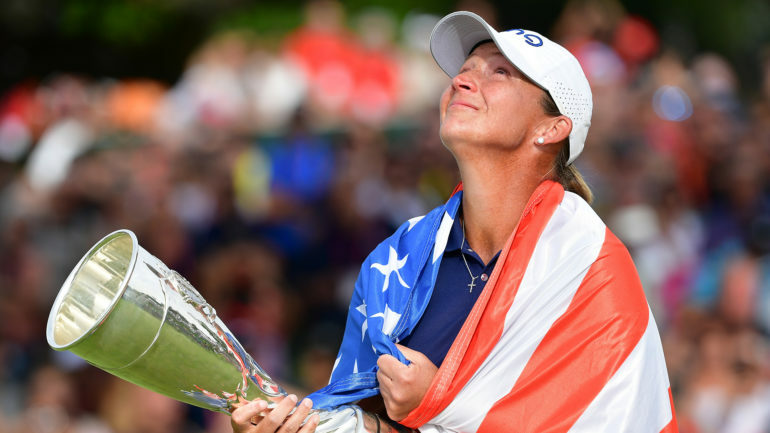 EVIAN-LES-BAINS, France – Angela Stanford ended her long wait for a first major title when her 3-under 68 was enough to win the Evian Championship by one shot Sunday after long-time leader Amy Olson made double-bogey on the 18th. Canada’s Brooke Henderson finished in a tie for 10th at 8 under. The 21-year-old from Smiths Falls, Ont., shot a 3-under 68 to rebound from a 1 over on Saturday. Alena Sharp of Hamilton closed with an even-par 71 and tied for 37th, while Brittany Marchand of Orangeville, Ont., tied for 49th at 3 over. 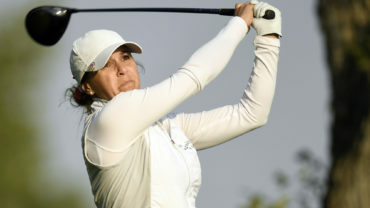 After Olson was outright or joint leader all day – briefly with Stanford at 13 under with four holes to play – she three-putted to end her championship with a career-best result. 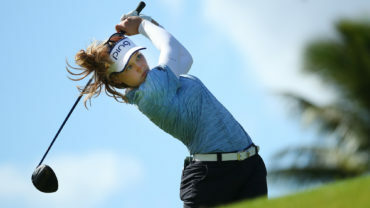 “It’s disappointing to finish like that,” said the 26-year-old Olson, whose previous best finish in an LPGA event was tied for seventh in 2014. The leaderboard changed little on the front nine until Olson made bogey at the par-3 8th. She stayed as joint leader with Kim on 13 under – three shots clear – only when Kim’s putt from off the same green hit the pin and stayed out. 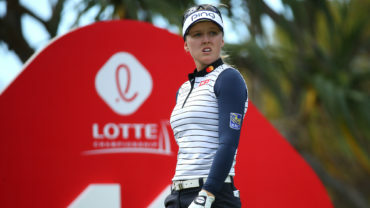 Olson’s two-shot lead was soon restored after Kim’s double bogey 6 at the 10th. She padded her lead to three with a tap-in for birdie at the par-5 13th. 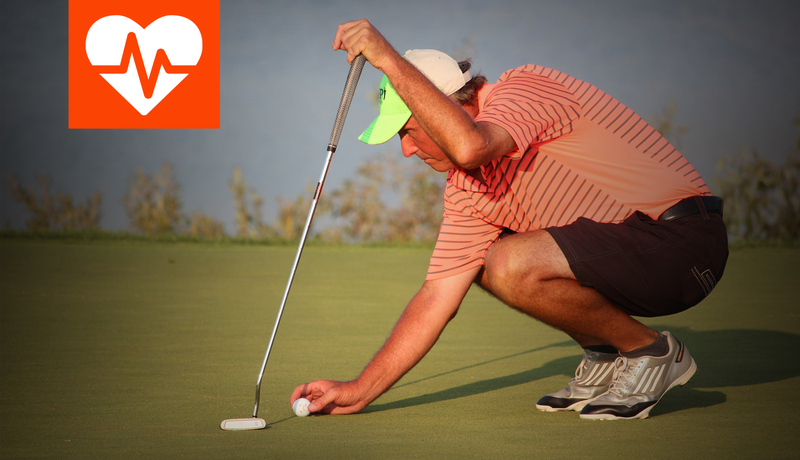 Olson went to the 17th tee with a one-shot lead on 13 under as Ernst set a clubhouse target of 11 under. Her bogey-free 68 saw several putts lip out.